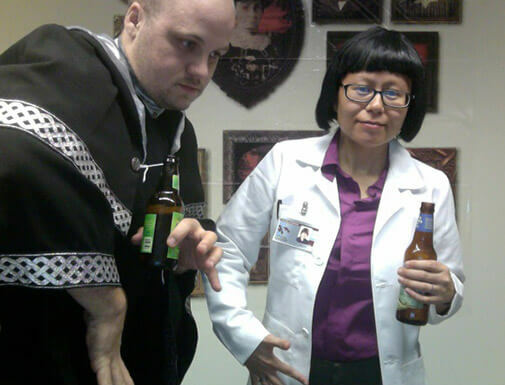 With Halloween on a Wednesday this year, we had our company Halloween party last night. There were some really awesome homemade costumes in attendance. 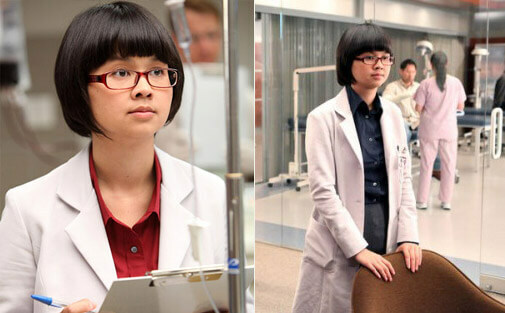 For my costume, I decided to dress up as Charlyne Yi’s Dr. Park from House. I paired a button up shirt with too-short, tapered work pants and added a lab coat. 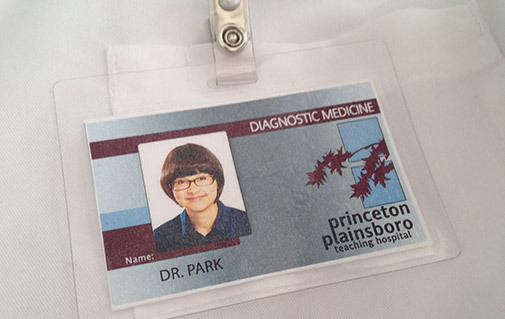 What put it over the top was the Dr. Park ID badge and the wig. 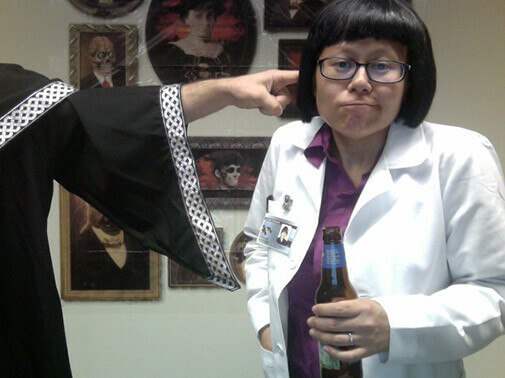 It was an easy costume and it won 2nd place in our costume contest! Here are some photos of the finished look (don’t mind Jake). This entry was posted in holidays, my life, television and tagged costumes. Bookmark the permalink.